Supporters argue that the new gun laws extend existing restrictions on handguns to semi-automatic rifles like the AR-15. Last November, roughly 60 percent of Washington voters approved Initiative 1639, a package of new gun control laws. But its rollout has been less than smooth. Over a dozen sheriffs across the state have publicly declared that they won't enforce the new gun laws, claiming that the measure is unconstitutional. Even Spokane Sheriff Ozzie Knezovich jumped into the fray, making similar allegations. Additionally, the National Rifle Association and the Bellevue-based Second Amendment Foundation have filed a lawsuit in federal court against I-1639 on constitutional grounds, naming Spokane Police Chief Craig Meidl as one of the defendants. Still, as parts of the initiative begin to take effect, confusion continues to swirl around the law and what may come from any court challenge. Each side agrees on this, though: The stakes are high. Under I-1639, people under 21 are no longer able to purchase semi-automatic assault rifles, which are defined as any rifle that automatically chambers new rounds from a magazine and requires separate trigger pulls to fire each bullet. This means that everything from the popular Ruger 10/22 sport rifle to the notorious AR-15 fall under the new restriction. It's also one of the portions of the law that the plaintiffs in the lawsuit against I-1639 have called out as a violation of the Second Amendment. "People in that age group have been able to buy long guns for decades," says Dave Workman, editor of thegunmag.com, a publication owned by the Second Amendment Foundation. "I don't know if a constitutionally enumerated right can be voted on like that." Previously, longstanding state law allowed 18-year-olds to buy semi-automatic rifles, while limiting pistol purchases to those 21 and older. Tallman Trask, policy and advocacy director for the Alliance for Gun Responsibility — the organization that originally pushed I-1639 — tells the Inlander that this portion of the initiative was basically drawn from the state's own regulations for handguns. "It mirrors what we do with handguns," Trask says. Washington state's own restriction of handgun sales to people under 21 has never been challenged on constitutional grounds, according to Bellevue-based firearm rights attorney David Newman. The new rule brings Washington in line with several other states, including California, Florida, and Illinois, all of which limit purchases of semi-automatic rifles to people 21 and up. According to Hannah Shearer, a staff attorney and Second Amendment specialist at the Giffords Law Center to Prevent Gun Violence, similar age restrictions on purchasing firearms have been upheld in court. "It's on pretty solid Second Amendment ground," she says. She points to several recent rulings in 2012 and 2015 and where federal courts upheld federal and state laws largely barring people under 21 from purchasing handguns: "Two federal appeals courts have upheld restrictions on firearm access and gun carrying by minors under 21," Shearer says by email. Shearer adds that Washington's new age requirement is also supported by other recent case law upholding various local-level bans on assault weapons. "Washington's law is even more likely to be deemed constitutional, since it is narrower than the assault weapon bans courts have upheld," she writes. This increased age requirement is the only portion of I-1639 that is currently in effect. The rest kicks in on July 1. 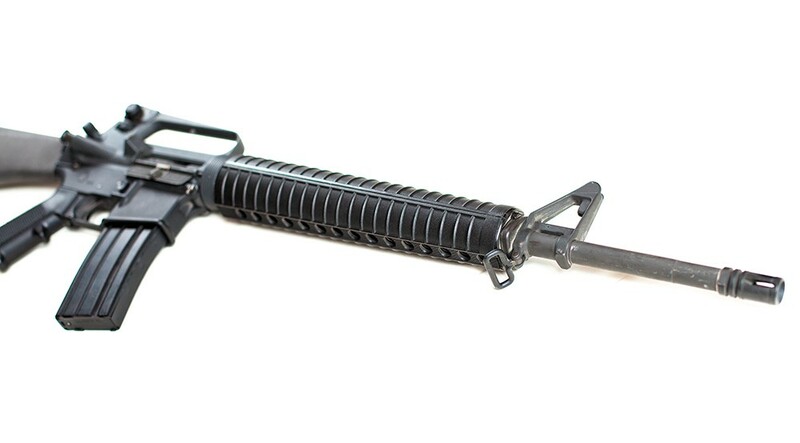 Opponents of the initiative argue in their lawsuit that I-1639's ban on nonresidents purchasing semi-automatic rifles violates the Commerce Clause of the U.S. Constitution by "impermissibly" impeding trade between states. Backers of the initiative argue that this policy is designed to streamline the process for local law enforcement running the additional background checks called for by I-1639 by saving them from also having to check records with out-of-state agencies. Generally, federal law requires that people go through licensed dealers in their home state to purchase handguns sourced from out of state, while rifles can be obtained by non-residents if the laws of both the buyer's and dealer's states allow it. Under Washington state law, nonresidents are already prohibited from buying handguns in Washington. Trask says that I-1639's new restriction is transplanting Washington's existing laws governing pistol sales to nonresidents to semi-automatic rifles. He adds that Idaho and Vermont both have similar laws when it comes to handguns. While federal laws preventing out-of-state handgun purchases have been upheld in court as recently as 2018, there's no notable case law to indicate how courts have treated similar state-level measures restricting firearm sales to nonresidents. Local law enforcement agencies will soon be required to run local-level background checks on potential buyers of semi-automatic rifles for gun vendors, while dealers themselves will have to meet a host of other restrictions on customers designed to keep guns out of the wrong hands. Prior to I-1639's passage, state law only required that purchasers of handguns go through federal and local-level background checks — the latter of which includes combing state databases for open warrants and involuntary mental health commitments. In contrast, vendors only had to run potential buyers of semi-automatic rifles through the highly efficient National Instant Criminal Background Check System. So, like other components of I-1639, the measure's proponents argue that the enhanced background checks are simply extending existing procedures to more firearm sales. "It's making sure that what already applies to one class of weapons also applies to another class of weapons," Trask says. Five other states already have laws on the books similar to Washington's former rules, where only handgun sales required local and federal background checks, while 13 rely strictly on local records to clear potential buyers of both pistols and rifles. While this segment of the initiative is not being litigated in the lawsuit against I-1639, it has been singled out by state Attorney General Bob Ferguson in a strongly worded Feb. 12 letter as the one component that local law enforcement agencies have a "legal obligation" to enforce. But the new local background checks do place more of a burden on law enforcement agencies, which might soon have to devote more staff to searching records. That's why the initiative allows the Department of Licensing to require that gun dealers charge a $25 fee to buyers to help local agencies cover the cost of doing more checks. Additionally, under the measure, legal buyers of semi-automatic rifles will have 10 days before obtaining their new firearm to allow for a cooling off period in case they are emotionally unstable at the time of purchase. They'll also have show proof that they've undergone recognized firearm safety training within the last five years. 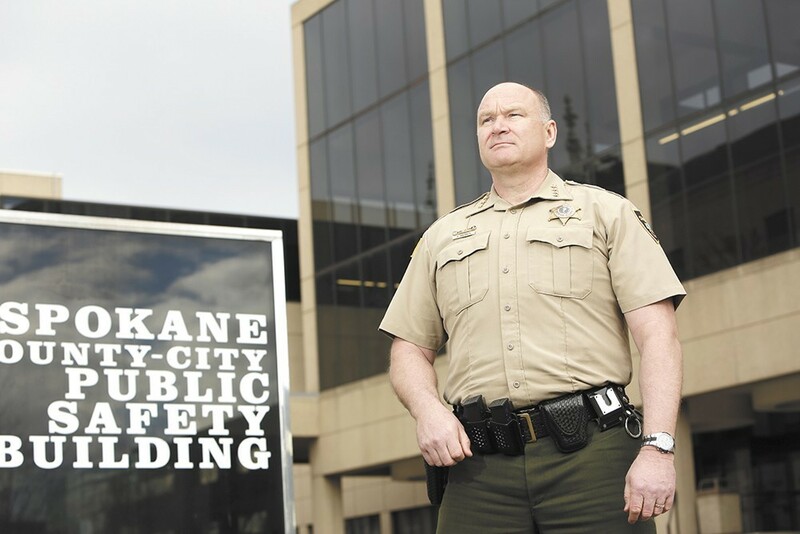 Spokane County Sheriff Knezovich recently claimed that the "safe storage" component of I-1639 is unenforceable partially because the Fourth Amendment prevents law enforcement from proactively searching people's homes to check if their guns are locked up. "It's not a mandate: 'You must store your firearms this way or else,'" Trask says. "It's an incentive." Firearm vendors will also have to post signage informing buyers of the new safe storage law. Currently, 11 states have some type of safe storage law on the books. Massachusetts is the only state that mandates that all firearms be locked-up when not in use, while New York and California enacted laws requiring that gun owners who live with people otherwise prohibited from possessing firearms lock up their guns. Shearer with the Giffords Law Center says that I-1639's safe storage provision is less strict than child access prevention laws in California and Massachusetts since it only punishes gun owners' behavior after a tragic incident has occured. The original print version of this article was headlined "I-1639, Explained"